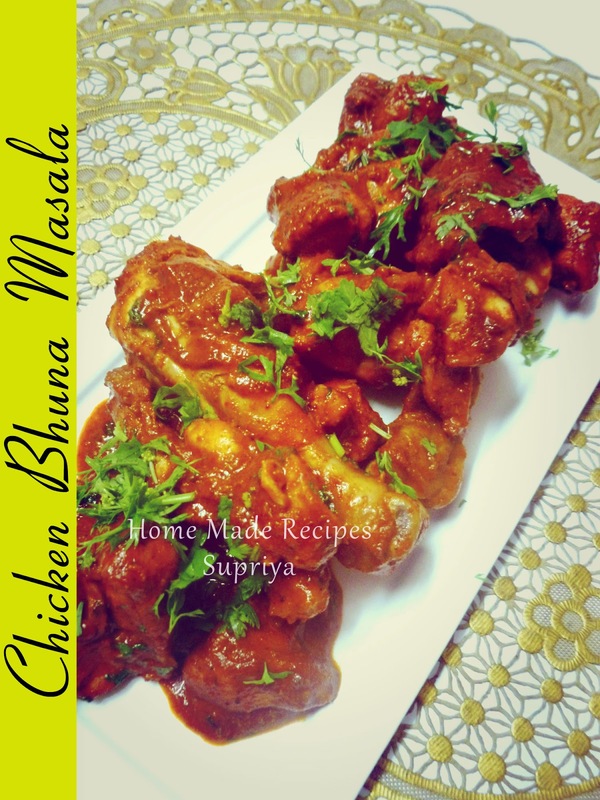 Today's special dish is a very simple and delicious Chicken Bhuna Masala. 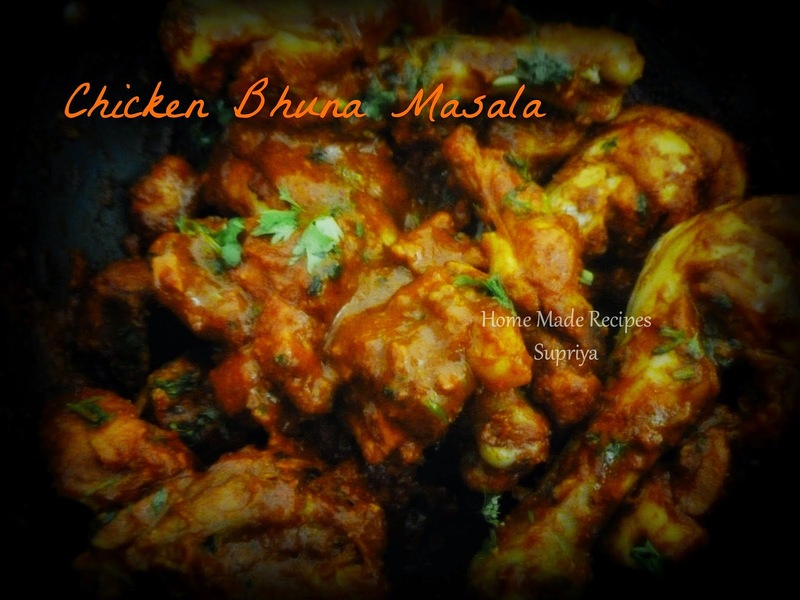 Bhuna means saute or browning. You get bhuna masala mix in supermarkets too but I prefer preparing it fresh at home and believe me, it won't consume lot of time and tastes better than the store bought ones. Do try this out and I bet your loved ones with love this dish just like mine. 1. Soak red chillies in water for about 15 to 20 mins and then prepare a fine paste of this along with spices( mentioned above) and garlic. Transfer the paste to a wide bowl. 3. Heat oil in a wok or a pan. Add only the chicken pieces to this without the extra masala and cook it till the chicken pieces are cooked and the masala dries off. 4. Now pour in the extra remaining masala which was leftover and mix well. Cover the lid and cook for few more mins. Then keep sauteing the chicken till the bhuna masala reduces or dried off or to the consistency you like to have.